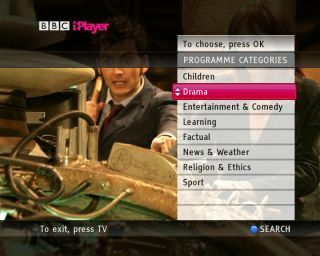 Beyond iPlayer: What's next for Video on Demand? Problem: six hundred TV channels, 2,000 hours of Video on Demand (VoD) on iPlayer and elsewhere … and you can't find anything to watch. After a hard day at work, it's all you can do to channel-hop until you finally settle on an episode of Top Gear that you've seen three times before. Solution: Slump on the sofa and switch on the TV. The TV's built-in camera detects your body movements, analyses your face and detects that you're in a bad mood; it searches your home entertainment 'cloud' – its contents already shaped to your viewing behaviour – and plays you something uplifting like Apollo 13 or The Shawshank Redemption.